It seems the more I start to feel like myself again, the more I am bombarded with emotions. I shouldn’t be surprised. It is typical for me to dig in and deal with crisis. As long as there’s something that needs doing I’ll be okay. It’s when things settle down that all that backlog comes rushing forward demanding to be heard. I have time to “feel the feelings” and I don’t like it. I have so much to be grateful for. I got an early diagnosis. I have good doctors. I got to have laparoscopic surgery. Hell, I’ve beaten cancer twice! I’ve been overwhelmed by the outpouring of support and the kindness of my friends. 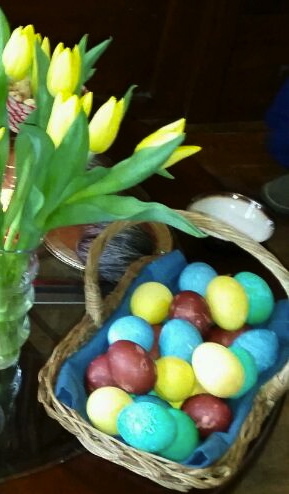 Eggs on the Ostara altar holding potential and wishes for the future. I also feel like I’ve been put through the ringer, again. They say what doesn’t kill you makes you stronger, but I feel like I’m fraying at the edges. Some of that is simply age. I’m not as resilient as I was in my 20’s. I don’t bounce back as fast, or as far, and it’s frustrating. Some of it is that, although I’ve had all the help that I need, I haven’t had the support of a partner cheering me along. When my spirits sag, I have to bring them back up on my own. 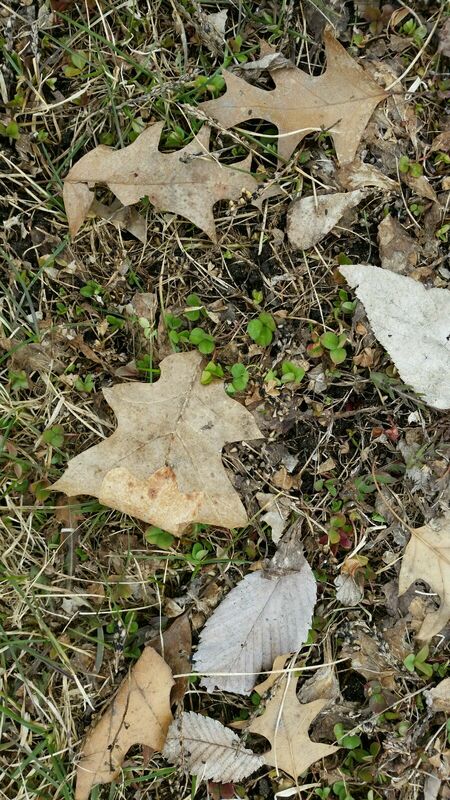 There are signs that spring is coming. What really challenges me, though, is the lack of security. I don’t have sick leave. I don’t have vacation time. I don’t have a nest egg. I am trying to build a new career. I’m looking into moving Orion out. I’m not sure, even healthy, that I can continue to live in my home. The cancer diagnosis just underlines that there are no guarantees in life. Ostara, the spring equinox, is a time of balance and new beginnings. That seems like a good place to start. Finding the new normal, creating patterns and systems that are healthy, and hanging on to hope; that is the task at hand. As long as there’s something that needs doing, I’ll be okay. For someone who’s trying to recover from a major surgery I’ve been awfully busy. It’s hard not to celebrate a birthday, even when you’re not feeling entirely up to it. This is my first birthday since the bariatric surgery, and my birthdays have historically been about food. When we were kids one of the things we got for our birthday was the opportunity to choose the menu. We didn’t go out to eat a lot as a family, but my parents cooked. 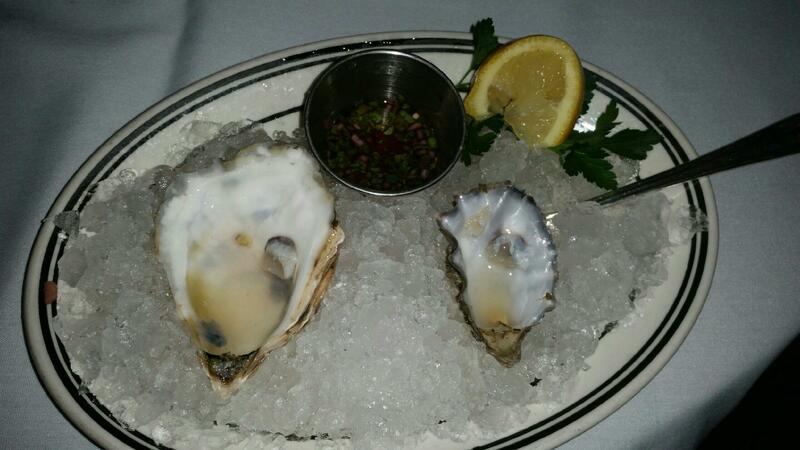 Favorites ran the gamut, but I discovered seafood early and stuck with it. 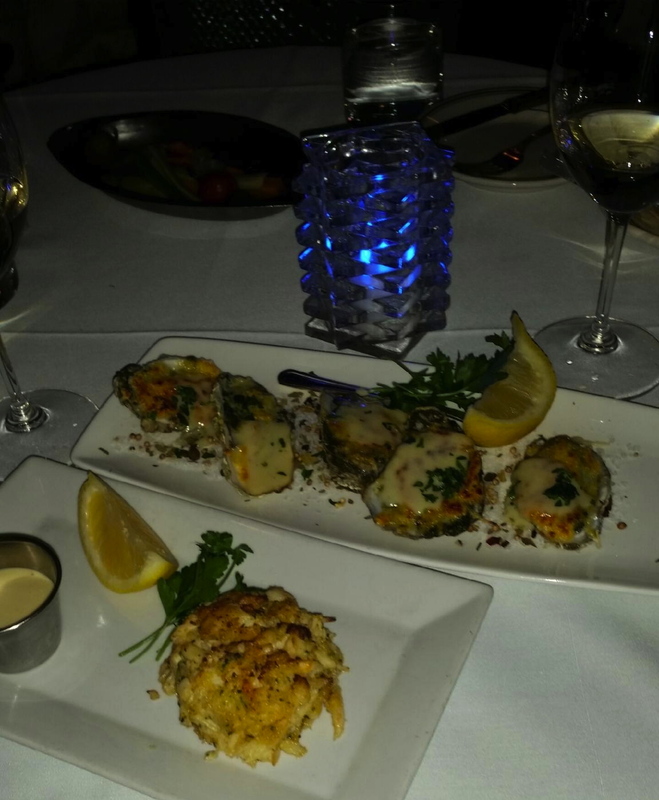 More oysters – Rockefeller (her favorite) and a “Crab Cake” that’s more crab than cake! This year has been a challenge in many ways. The hysterectomy has me moving slower, not getting around easily and pretty achy. In addition, just having the surgery has decreased my food tolerance and portions. That’s kind of normal, except given that I was already working on tolerance and portions it seems a little extreme. Beautiful lobster bisque – this counts as a main course for me. 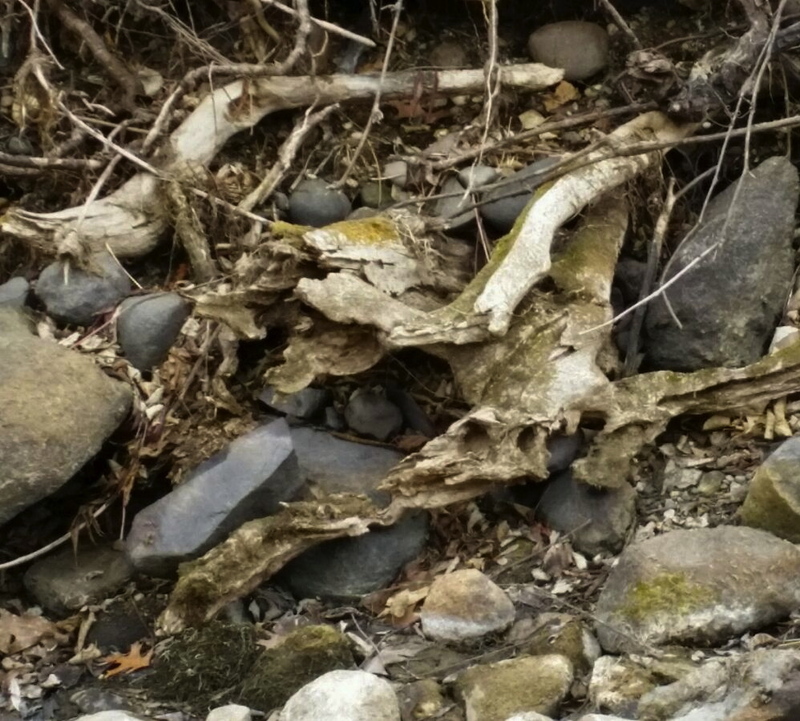 Of course where there is a will there is often a way! My dreams of baking myself a cake to take to a party, or making myself a special dinner were very unrealistic. I’m not that far along in my recovery. But I have friends and family who managed to keep me eating all weekend long. 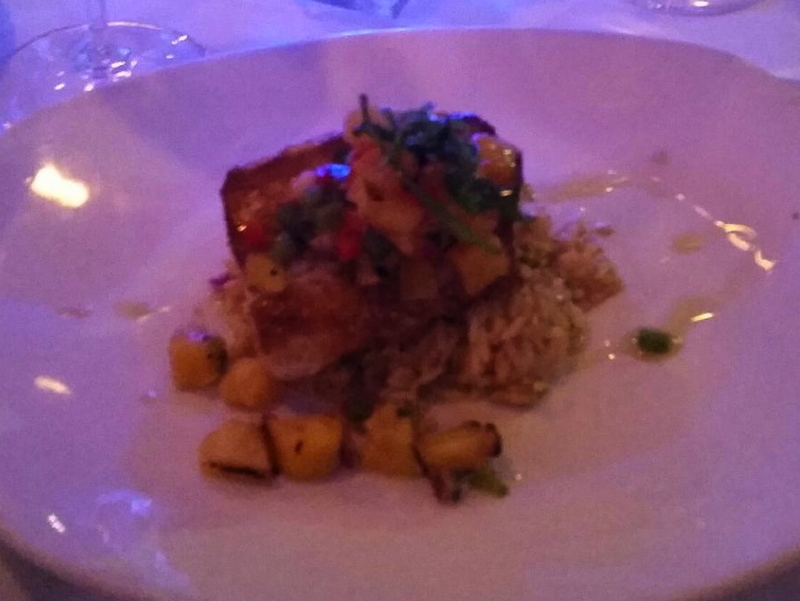 The main dish off the Restaurant week menu was a mahimahi on dirty rice with a pineapple glaze. Karina devoured it. I had a bite. 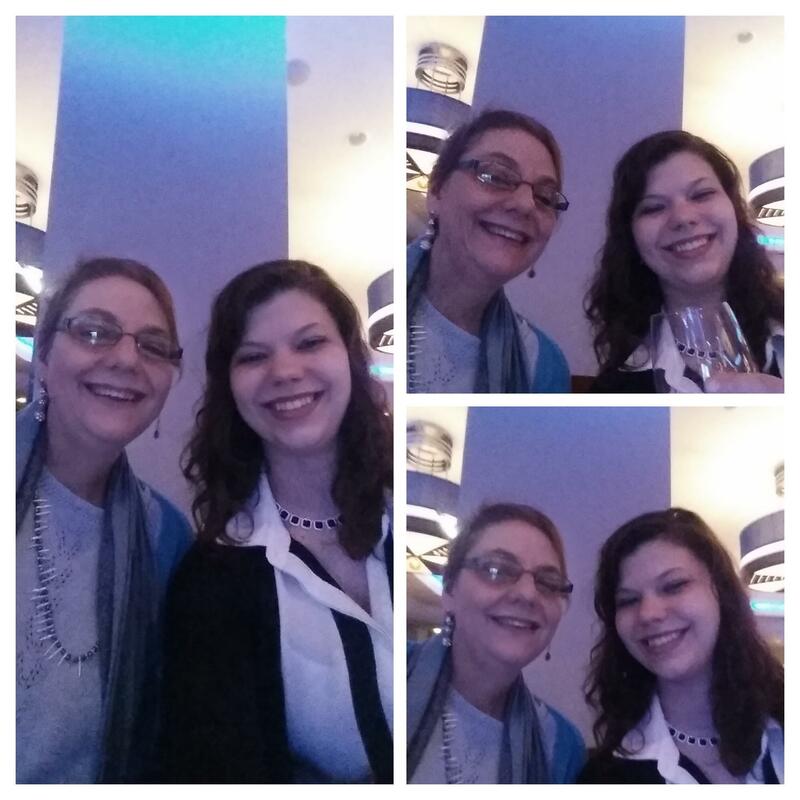 Thursday my daughter took me out to Oceanaire for birthday dinner. 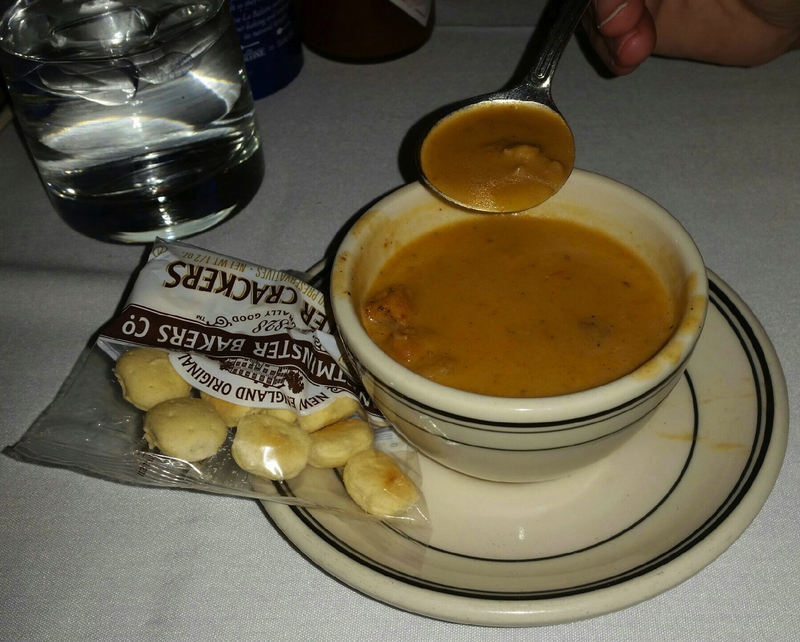 We ordered one Restaurant Week meal, a couple extra appetizers and a cup of lobster bisque and shared it out. Beautiful food, well prepared, very tasty and oh so very much to eat! I may not have had much (and took home leftovers) but I was more than satisfied and had a delightful evening besides. 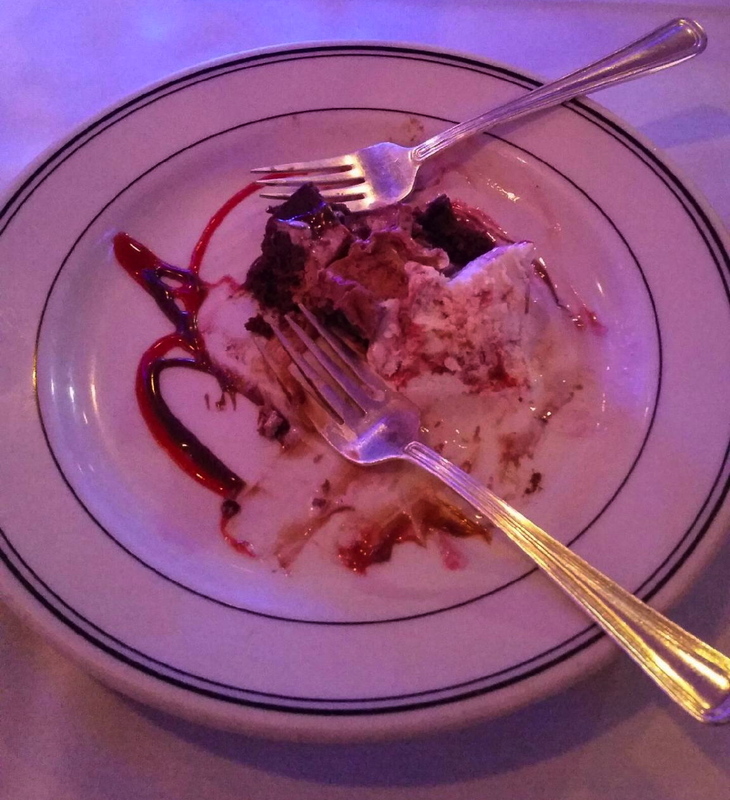 The waitress brought our forks first. This is what desert looked like when it occurred to us to take a photo. 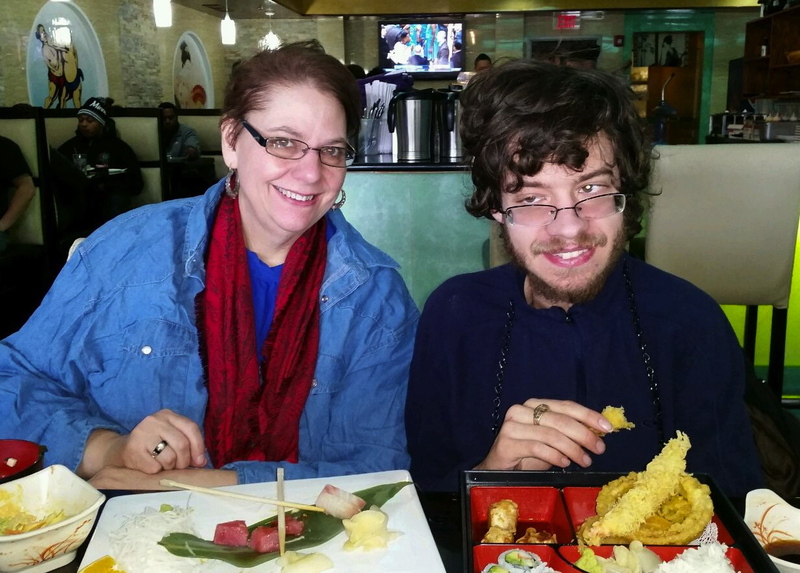 Saturday I was taken out for sashimi by my ex and my son. That was also a treat. Again we managed to shuffle the meals around so that everyone got something they liked and there wasn’t too much extra. I had time enough for a nap before going out again that evening with friends. 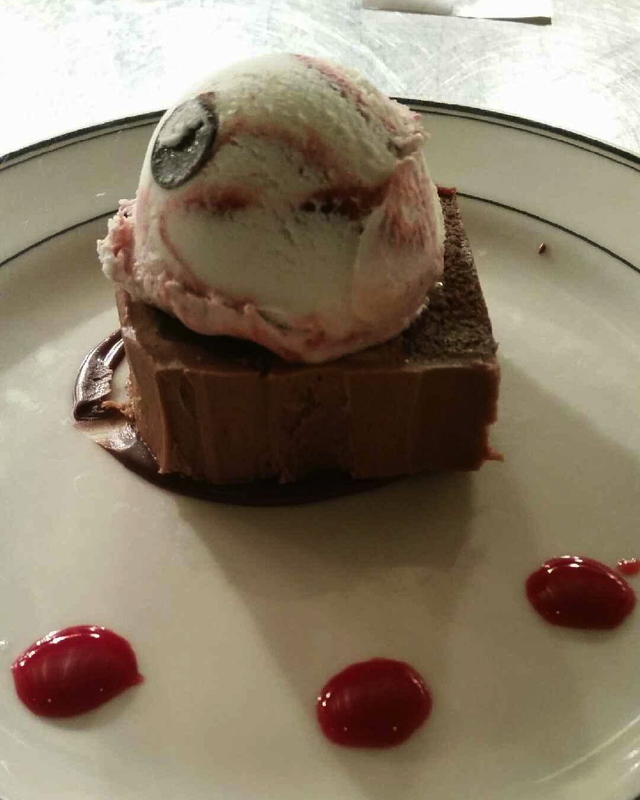 This is what the “death by chocolate cake” with a dark cherry vanilla ice cream looked like in the kitchen. That wasn’t specifically for my birthday and much of the “pot-luck” was vegan, but it was good to see some old friends and catch up. I brought a bag of clementines – not something I would buy for just me. I can eat a couple of segments at a time. It was a treat and definitely qualified as a vegan dish. Sunday was our annual women’s ritual. Again the food was lovely and in huge quantities. I did manage to “cook” Tzatziki to go with my frozen appetizer spanakopita from Trader Joe’s. There were ribs, meatballs, and spiced nuts, liver pate, stuffed clams and scallops, and hummus, olives, and a variety of cheeses. I definitely needed a nap! The liver pate came especially for me to help with that anemia problem. Yummy! Lunch with Orion was good too. But not quite so dramatic. I have so much to be grateful for this year. The hysterectomy took care of the cancer – no chemo or radiation necessary. I have had incredible support from my friends and family to get through these past few weeks. I may be grumpy I’m not improving fast enough, but I do continue to be able to do a little more each day. I’m also reassured that I really am doing well, I’m just impatient. And I have some great leftovers to help me through the coming week!